I am an American Living and working abroad. Do I need to file a U.S. tax return? Regardless of where you live now, being a United States citizen requires that you file a yearly tax return with the IRS. Green Card holders and all U.S. citizens are required to file a U.S. return, no matter where they live, as long as their income (earned in – U.S. and abroad) is just over $9,000. Many people wrongly assume that because they have never owed money to the IRS, they simply don’t have to file. Earning anything requires you to file. As is the case with many legal matters, each U.S. state sets its own rules regarding state taxes and expats. Some states do demand that you file a state return, while others release you when you move away. The rules can be complicated, so be sure to ask your tax preparer before making assumptions as to the requirements of your former home. The most stubborn states are New Mexico, California, Virginia and South Carolina. If you moved abroad from one of those states, it is unlikely that you have been released from the obligation of filing. You are a citizen of the U.S. who qualifies as a bona fide resident of another country for a period of time containing one entire tax year. You are a resident alien of the U.S. whose home country has an income tax treaty with the U.S. Additionally, you must be a bona fide resident of another country for a period of time containing one entire tax year. You are a citizen or resident alien of the U.S. whose physical absence from the U.S. constitutes a minimum of 330 days out of any 365. Can I deduct foreign taxes paid? As a general rule, tax you owe the U.S. on foreign income can be substantially reduced or even zero if you have already been taxed on said income in your country of residence. You can claim these paid taxes either as credits on your Federal return or claim each amount as an itemized deduction. The optimal choice between deduction or credit depends on your country of residence and whether or not this country has a tax treaty with the U.S. as often there are substantial differences between U.S. and foreign tax laws with respect to what the foreign country taxes and what is does not tax. For example, even though some countries do not tax capital gains, these are subject to U.S. tax as are foreign employer contributions to foreign social security and retirement pension funds, as well as both employer and employee contributions to foreign deferred-income plans. Self-employed individuals run a much higher risk of being double taxed and you should contact an international tax professional immediately in this case. For Americans living within the U.S., the tax return is always due on April 15th or the following Monday (if the 15th is a weekend or a holiday). A two month extension is automatically given to citizens living abroad putting the expat due date (for filing purposes) at June 15th. The filed-for extension moves the due date (for filing purposes) as far back as October 15th. Neither of these extensions apply to paying taxes. Any taxes owed, regardless of whether you are stateside or abroad, are due on April 15th. Choose a software provider and follow their step by step instructions. What about my foreign bank accounts? What are FBAR and Form 8938? We saved the best almost for last. In order to help it track those Americans who are not reporting their foreign income, IRS and the U.S. Treasury have recently instituted a number of informational forms that must be filed. Form 114 also known as FBAR. This is a relatively simple form that is used to collect basic information on foreign financial account controlled by a U.S. citizen. The form is electronically filed and is not filed with your tax return. As it is only an informational form, it will not have impact on your tax liability. Financial account definition includes; a bank account, brokerage account, mutual fund, unit trust, or other types of financial accounts. It is important to note that the FBAR must be received by the Department of the Treasury by April 15th. There is an automatic extension for 6 months to October 15th. The FBAR should be e-filed or web filed with the U.S. Department of Treasury (http://bsaefiling.fincen.treas.gov). Section 114 Penalties. The penalties for non-filing of the bank account information are extremely harsh. They range from an automatic civil penalty of $10,000 to 50% of the balance of the account. It gets worse – if the IRS investigator can prove that you willfully withheld the information from the government criminal charges can be filed. Form 8938 is required starting fiscal year 2011. Form 8938 must be attached to your 1040. The reporting requirements of foreign financial assets are more extensive and more complicated than those for the bank account information on Form 114. The threshold of foreign assets owned depend on where one is domiciled and whether one is filing married filing jointly or otherwise. Form 8938 is required under the Foreign Account Tax Compliance Act (FATCA), passed into law in March 2010. FATCA also requires foreign financial institutions banks, brokers, pension funds, insurance companies, hedge funds, mutual funds, trusts to report to the IRS holdings of their clients who are U.S. persons. 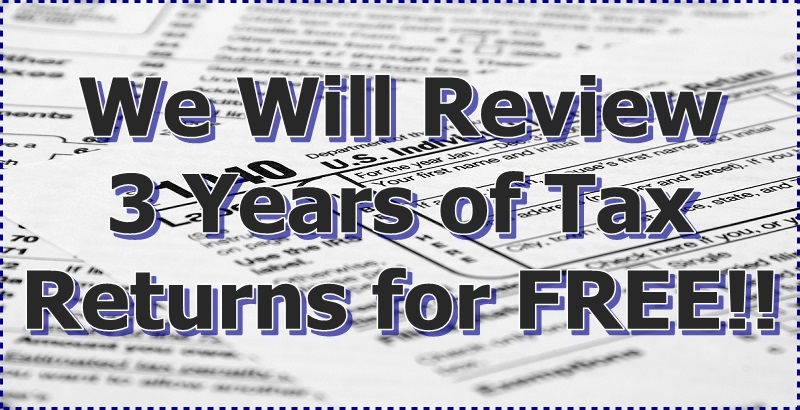 This will come into force on January 1, 2015, but has been extended for 2 years, and will allow the IRS to cross-check between reports of foreign financial institutions and individual filings of Form 8938. All institutions that do not comply will have a 30% withholding tax imposed on all its transactions concerning U.S. securities. In addition, FATCA will require that any foreign company not listed on a stock exchange or any foreign partnership which has 10% U.S. ownership to report ot the IRS the names and tax I.D. number (TIN) of any U.S. owner.